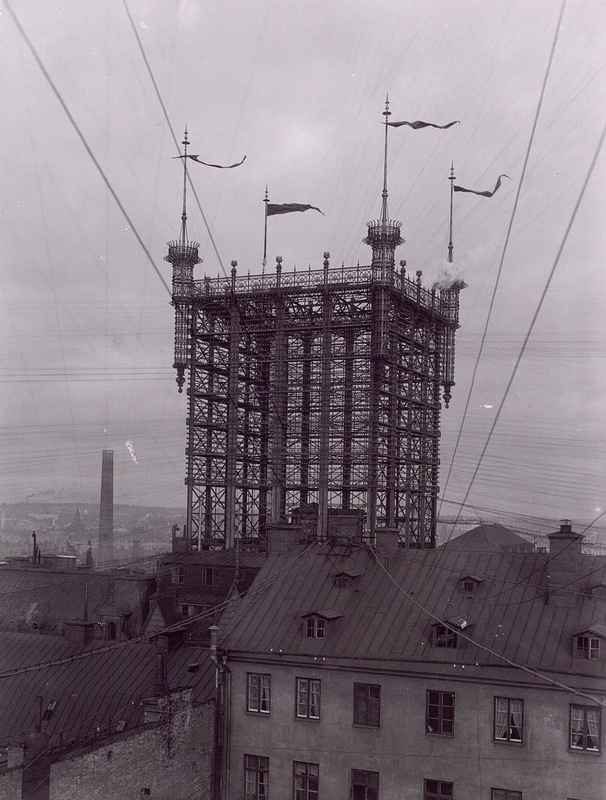 The old “Telefontornet” telephone tower in Stockholm, Sweden, with approximately 5,500 telephone lines c. 1890. In the late 19th century, the miracle device called the telephone had been invented but the simple concept of undergrounding telephone cables had eluded engineers. Due to technical limitations of the earliest phone lines, every telephone required its own physical line strung between a house or business to a phone exchange where the call was manually connected by a live operator. 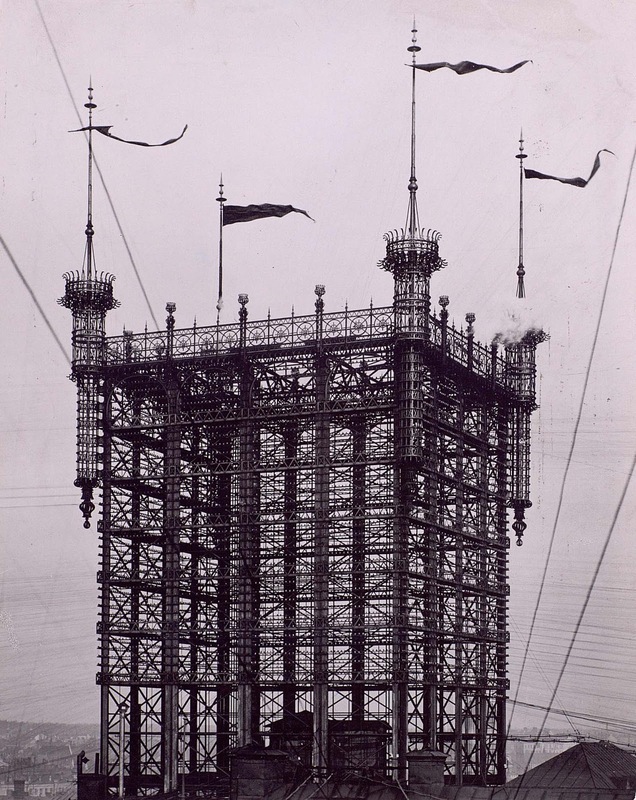 The somewhat quixotic result of so many individual lines was the construction of elaborate and unsightly towers that carried hundreds to thousands of phone lines through the air. 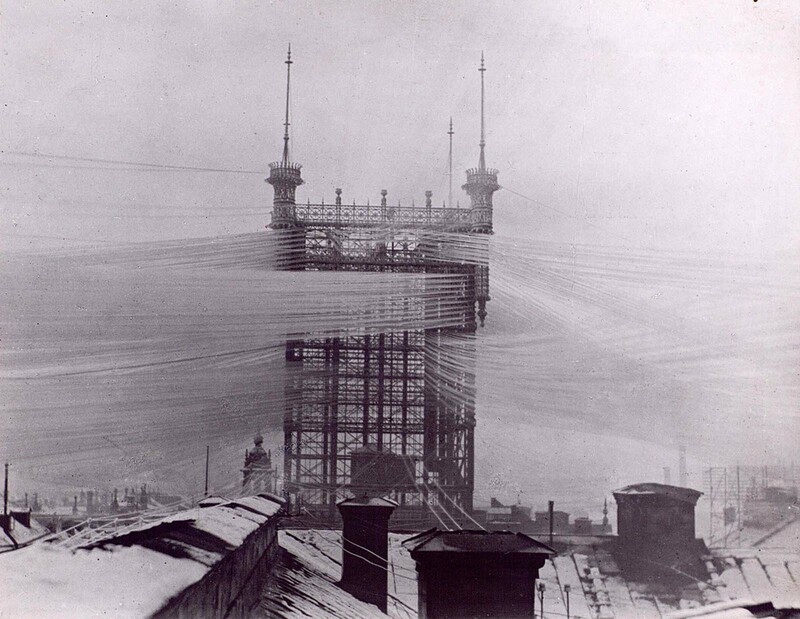 In Stockholm, Sweden, the central telephone exchange was the Telefontornet, a giant tower designed around 1890 that connected some 5,000 lines which sprawled in every direction across the city. Just by looking at historical photos it’s easy to recognize the absurdity and danger of the whole endeavor, especially during the winter months. Everything that could possibly go wrong did. From high winds to ice storms and fires, the network was extremely vulnerable to the elements. Luckily, phone networks evolved so rapidly that by 1913 the Telefontornet was completely decommissioned in favor of much simpler technology. 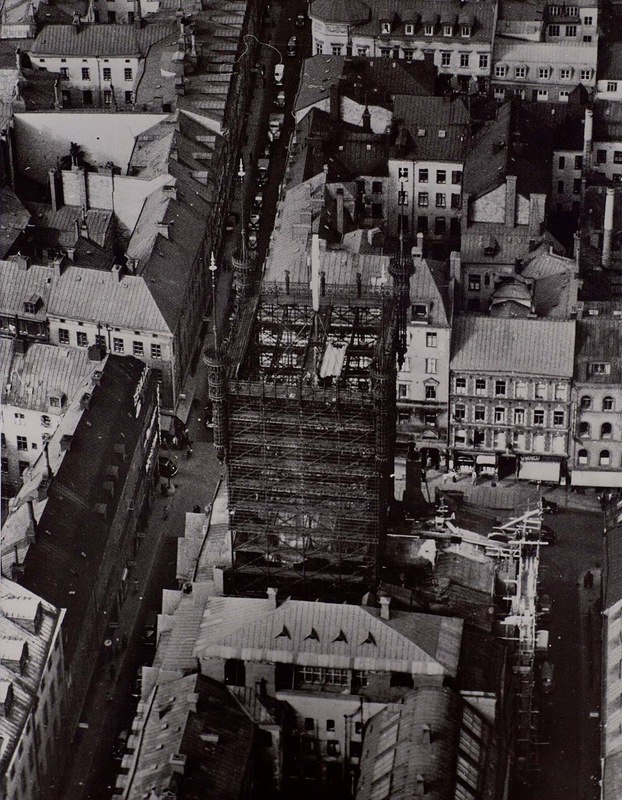 The remaining shell stood as a landmark until it too caught fire in 1953 and was torn down. Telephone service was expensive at that time, and only the wealthy could afford it. In Sweden, the first public telephone exchange was opened by the Bell Telephone Company. It originally had only 121 subscribers. The telephone company charged subscribers between 160 and 280 Swedish Krona, depending on the subscriber’s location and distance to the exchange. This was equivalent to paying a subscription fee of 9,000 to 16,000 Krona (USD 1,100 to USD 1,966) in today’s value, which was a very high rate. 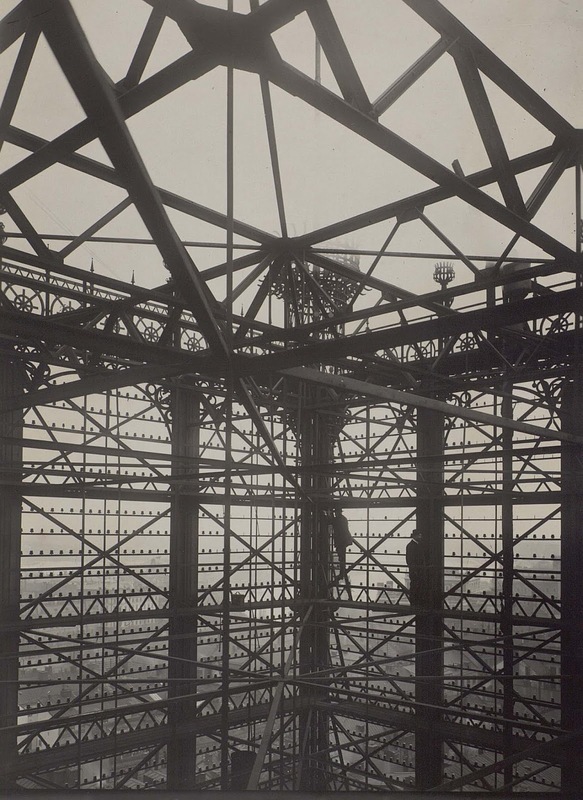 The quadrangular metallic structure was 80 metres tall and soon fell out of favour with the local population. From high winds to ice storms and fires, the network was extremely vulnerable to the elements. Just by looking at historical photos it’s easy to recognize the absurdity and danger of the whole endeavor, especially during the winter months. The tower connected about 5,500 telephones to this single point. 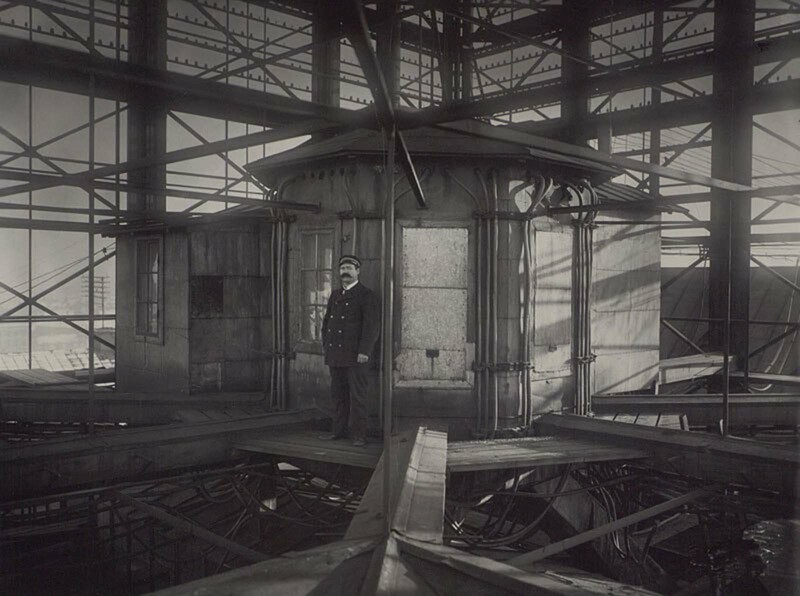 By 1913, the entire network had gone underground and the Telefontornet lost its function. The remaining shell stood as a landmark for the several decades.